EasyGenerator is a SaaS based content authoring tool that is like a piece of fine sculpture, with some cracks, but beauty that is hidden within. Workflow hierarchy when you build your courses, lessons, etc. Within the left side of screen, where your hierarchy to build your course exists, you can switch to “Files”. The “Files” area contains all the images, video, audio, etc., that exists within your course, plus offers some additional features. I liked the fact you could see your files in a separate section within the tool, because it you need to upload or remove a file you can, quickly. You can add as many elements as you want and then move them up or down the hierarchy. What I found wonderful is the listing of “chapters”, this tells me that the folks at EasyGenerator get it when it comes to web based training course development, which sadly isn’t universal in our space (but should be). You can also set your properties in the left side within the work tree. 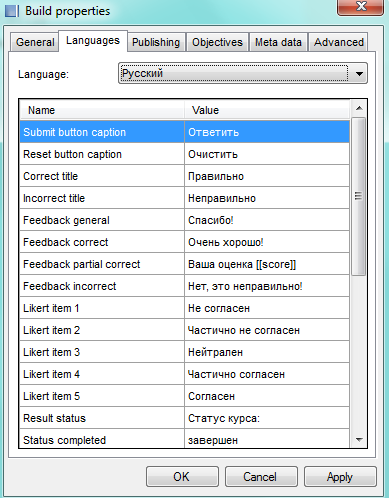 I will say this about EasyGenerator, the properties is so extensive in this program, that you should not have any issue on what the outcome or desired effect should be. On the flip side for some people it can be overwhelming, but the properties is completely optional. One issue I had with the publishing option came with the set defaults (which you can click on or off) and course type. For “Lesson” the defaults on where all the options except for maximum number of attempts. So if you do not want “make score equal to progress” and why would you for a lesson or page, the type immediately changes to “custom”. The same thing occurred – but different default options for test, survey, etc., and again, if you decide to change one of the defaults, your type switches to custom. The logic just didn’t make sense. Why even have the course types if the moment you change one default it goes to custom? Wouldn’t you rather identify “custom” as just that – some custom type not listed in your original options? The top of screen features the dashboard, which is quite robust, and uses icons to display components available to you. Equally nice is you merely have to place your mouse cursor over the object to find out what it is. Again, great job. The dashboard as I like to call it, is quite robust. Depending on what you are doing during your build, certain objects within the board will be grayed out, thus unavailable to you. As aforementioned the amount of fonts you can use is unbelievable, plus the ability to choose the various types of text colors is in alignment with many web site tools, and rarely seen in course authoring tools. Text – creates a text box in the main screen (right side), which you can type in, edit, etc. 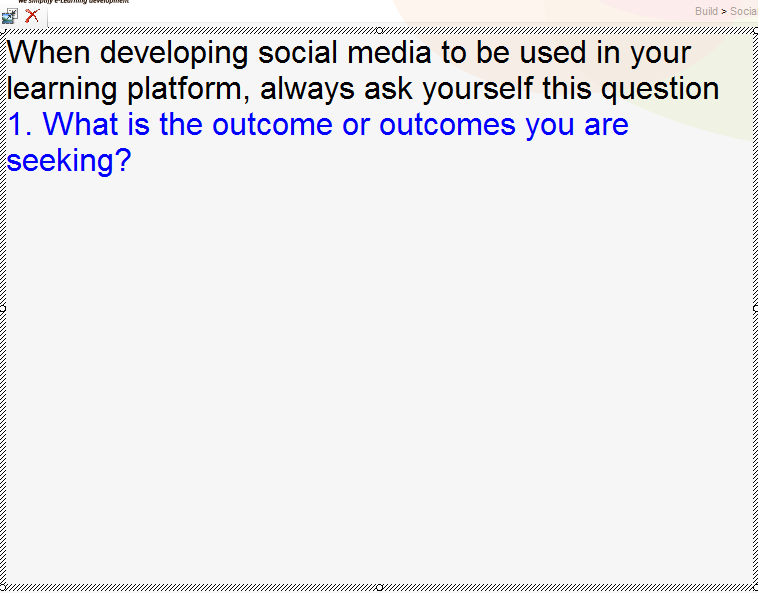 As you can see there are more then enough types of questions to choose from, although the “T/F” doesn’t really exist. You can do it, but you have to use “Statement” and it is not as simple of typing in “True” or “False” as the correct/incorrect choices. EasyGenerator requires you to enter statements too and won’t let you move on, until you do so. This can be easily be avoided, but just creating a T/F question option. Especially when they offer “Text” as a question option. Within the main screen (the mid to right side) creating a lesson, question is easy to do. First, select the object you want to appear in the TOC – such as a lesson (better term use would be “page”) then after entering the title and clicking save, the build can commence in front of you. In my test, after creating the opening text – with a simple click of the object “Text” on my dashboard, I was able to type in the text box which appears in the main screen and start working. On the top of the text box, you see two icons. One is properties, the other is delete. After entering the video and text, you can move them around anywhere on the screen, and thus they would appear that way in your course. Again, a nice feature, considering many RCATs have them auto grouped. You can delete the title and caption if you so choose, and even add more text on the page – text box, image or flash. Every change, add, new part appears in real time, but here lies an issue I have with Easy Generator. In the build mode, I found the time it took to add any element on the left side, which upon doing so, updates the work tree for you to see AND any time I entered in new content or made edits or whatever in the main screen, again the program updates it immediately – it took a long time. At first I thought it was due to my speed, so I went as tested my bandwidth. I was running at 16Mbps, which is very fast for at a household. When initially viewing the demo with EasyGenerator their speed was extremely quick, so the issue may arise on where exactly are you hitting the SaaS site from, in terms of at the workplace or off-site. While a large number of businesses, etc. use T1 or higher, for a household that isn’t the case. Most people hit with a DSL at a lower speed or via a cable modem at 2Mbps. When you factor in a wireless network at home, the speed tends to drop a little there, then depending on where you live – urban area versus in the country, speed can drop too. For myself, the speed is more than robust, but with EasyGenerator it was painful. Rather than an immediate update view, some went as much as six to eight seconds. While you may think that isn’t a big deal, think about it, every time you make a tiny add or edit. Even when entering in text for the title of a lesson or course. At one point, for an edit within the main screen, it went 10 seconds, at which point, I had to literally walk away from my laptop because irritation had set in. The result of course, is you do not want to do anything, which is sad considering the robustness of ease of use of the product. EasyGenerator can compete with any rapid content authoring tool on the market. Its richness in features for beginners to advanced sets it apart from some other key names in the market, who either focus too much on the beginner with little for the advanced developer or designer. Its strength of the main screen real time changes is equally its weakness because of the lag time for changes to appear. While the time may seem non-sequential, for a developer it can become nerve racking. Sure, many people build within the workplace, but in today’s market, more and more employees are working from home – especially in course development or instructional design. Hurting the product an additional step is the inability to use the SaaS version of the product – which it identifies itself as such, unless you use Internet Explorer. The funny thing here is that overall market share for Internet Explorer is below 50%, so having that browser be the only one you can use when in the tool, makes little sense. 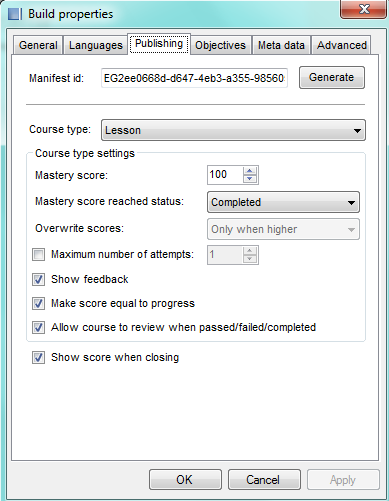 The use of the ability to track courses and scores in a rapid content authoring tool, hurts them as well. People who buy RCATs, buy them to build courses, not track them. So while an argument can be made for those who upload courses as a standalone sitting on their web site, with no tracking initially whatsoever, the reality is far from it. Even with a learning portal, many people have some type of database on the back end for tracking purposes. Worse, it does a disservice to a product that sees itself as a content authoring tool, not a hybrid learning management system. I like the product and its feature rich set and editing is not to be underestimated – not for end users and certainly not for other vendors in the space. Unless they can solve the lag time and make some updates to their product, this potential masterpiece will end up hidden from view. Which any product never wants to be.